Representing clients in Coconut Creek, Personal Injury Attorney Robert E. Gluck is there for clients the moment he has been contacted following an accident. Practicing law since 1989, he is dedicated to providing top legal guidance and representation when working with negligence claims. A steadfast advocate for his clients, your Coconut Creek Personal Injury Attorney will conduct a full investigation after your accident. Robert E. Gluck will work to located witnesses and obtain statements, gather surveilance video and photographs as well as conduct an inspection of your property damage. Robert E. Gluck is dedicated to obtaining a settlement that covers the extent of your medical bills and puts adequate value on your personal injury case. As your Coconut Creek Personal Injury Attorney, he consults with your doctors while gathering medical records to support your claim and ensure your voice is heard. Your Coconut Creek Personal Injury Attorney should be prepared to negotiate to be sure your receive compensation that is appropriate for your injury. 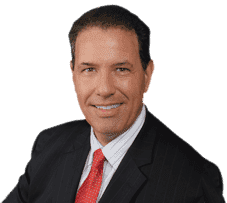 Knowledgable yet compassionate, Robert E. Gluck is the Coconut Creek Personal Injury Attorney that is the honest and reliable choice to represent you.